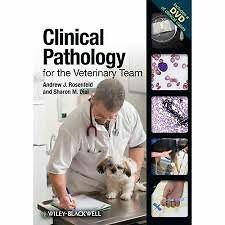 Clinical Pathology for the Veterinary Team is a concise, reliable resource for consistently achieving high-quality test results in the veterinary practice. An essential bench-side reference for in-house laboratories, the book includes a DVD with interactive cases to build skills in reading and interpreting digital slides. The book is a practical resource for anyone performing lab work, including veterinary technicians, technician and veterinary students, and veterinarians.